CMS Window Systems has been nominated to represent the UK in the European Business Awards for the Environment (EABE) in Estonia this October. Companies from 28 other countries have also been shortlisted in the ‘management’ category, which Marks & Spencer won in 2012 for its renowned ‘Plan A’ environmental initiative. The European Business Awards for the Environment (EABE) aim to recognise European companies which “successfully bring together innovation, economic viability, environmental considerations and social equality.” Since the EABE Awards were established, the UK has had more winners than any other country. CMS is the only company in the UK window and door industry to be nominated for an award, following its success in the VIBES (Vision in Business for the Environment of Scotland) Awards in 2015 where it collected an award in the ‘Management (SME)’ category. 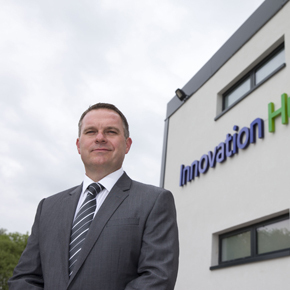 The company will hope to impress the European Commission with its Innovation Hub, which was open to demonstrate some of the most advanced building envelope products available to the UK building industry in addition to its forward-thinking recycling schemes, such as its glass reprocessing initiative with Saint-Gobain Glass. CMS Managing Director Andy Kerr commented: “Sustainability has been the cornerstone of our business since day one, with the environmental impact of our business operations and the products we manufacture and install continuously under the microscope.